The opening race of the 2018-19 Formula E season was just what we expected it to be so – fast, fun, unpredictable and a journey into the unknown. For the first time in the history of the series, there was an official wet session as unexpected rain played havoc with the day’s schedule. Practice 1 was cancelled while Practice 2 was rescheduled and extended with the organisers and the FIA working hard to ensure that the Ad Diriyah ePrix (in Saudi Arabia) concluded within the day. 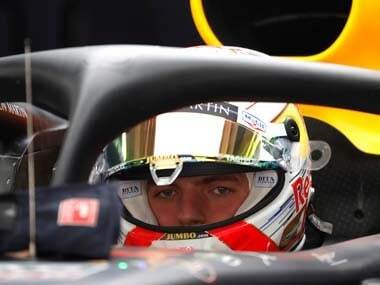 The lacking of running meant that teams and drivers were unable to prepare their cars and engine maps for qualifying and the race – the reason why several penalties were dished out post-qualifying and in-race. There are several talking points from the Ad Diriyah ePrix – BMW confirming the pre-season favourites tag by winning their first race as a constructor in the series while Audi coped with energy surge-related penalties. Race winner Antopnio Felix da Costa’s return to the top step of the podium after four years, this was after he clinched his maiden pole position. The pace of the Techeetah drivers and Jean Eric Vergne’s recovery drive to second place on the podium. Mahindra Racing’s podium, courtesy of Jerome D’Ambrosio’s mature driving. Felipe Massa’s two-car pass and Stoffel Vandoorne’s not-so-great debut after shining in qualifying and practice sessions. But that’s what happens when you have an even grid with several teams and drivers challenging each other throughout the race, an overdose of narratives. And lest we forget, Formula E had six different teams finish in the top-6 and 7 teams (out of 11) score points in the first race itself. Due to weather related delays, the FIA decided to change the qualifying format by splitting the field of 22 drivers into two groups, instead of the usual four. The wet weather conditions saw a mixed qualifying order, one that changed drastically after the post-qualifying penalties. While da Costa claimed his maiden pole position, HWA’s Vandoorne claimed P5 in his first-ever Formula E qualifying session. Nissan driver and former Formula E champion Sebastian Buemi finished third while reigning Formula E champion Jean Eric Vergne could manage only seventh. Mahindra Racing had a mixed bag of results – Felix Rosenqvist ending 22nd and last after touching the wall on his run while Jerome D’Ambrosio qualified sixth. The Teams’ Champions from last season, Audi could only manage an 11th fastest lap time (courtesy: Lucas di Grassi) and had all their cars (factory and customers) relegated to the back of the grid after a ‘power surge’ that saw their drivers use more than the allowed 250kW per lap. Pole sitter and eventual race winner da Costa’s only mistake was at the end of the formation lap when he was lining his car up for the start. The Portuguese driver missed his P1 slot and had to reverse before parking in an awkward angle that saw his car point towards the wall than Turn 1. Da Costa was lucky to get away without a penalty, one that would have caused more embarrassment than losing to the super-fast Techeetah cars. As he crossed the finish line as the race winner, he screamed on his pit-to-car radio, "We did it baby, we're back! Finally, finally! Buenos Aires, Season 1 was a long time ago! ", referring to his only other win in the series. Starting fifth (Vergne) and seventh (Lotterer), the Techeetah drivers were quick, precise and lethal as they charged their way to the top of the field. In fact, even though the result suggests otherwise, this race was Vergne’s to win after he overtook da Costa mid-race for the lead and maintained it with much ease. However, it was an unfortunate technical infringement (overpower during regeneration) that saw both Techeetah drivers be awarded with a drive-through penalty while in 1st and 3rd place in the race. But such was the pace of the Techeetah cars that Vergne almost took the race win while Lotterer finished fifth (and claimed the fastest lap of the race), less than half a second behind the Jaguar of Mitch Evans. The two Nissan drivers (Buemi and Rowland) finished sixth and seventh, followed by the two Audi drivers (Abt and di Grassi) in eighth and ninth. In the later third of the race, Buemi’s Nissan had no answer to the pace of his rivals who ended up overtaking him with ease, Vergne, Lopez and D’Ambrosio while di Grassi drove well to finish ninth after starting in a lowly 18th place. The series’ inaugural champion and Jaguar driver Nelson Piquet Jr. claimed 10th to score the final championship point. Jose Maria Lopez, the Dragon Racing driver, missed a strong top-5 finish after retiring in the dying moments of the race due to a broken suspension. The newly introduced ‘Attack Mode’ was used by drivers to good effect to attack or defend position. In Ad Diriyah, the FIA sanctioned the Attack Mode to give each driver four minutes of extra power. Lopez’s retiring Dragon car brought out the Safety Car with less than 10 mins to go and during the restart at least 9 drivers used the Attack Mode. Funnily enough and before his retirement, it was Lopez who actually missed both the Attack Mode zones in the same attempt, a mistake that saw him lose position to Mahindra Racing’s Ambrosio. Vandoorne went backwards in the race, giving fans a reminder of how his two years in Formula 1 with Mclaren were. However, it was heartening to see fans not giving up on Vandoorne’s talent as 36 percent of them voted for the HWA driver to receive the Fan Boost advantage. The team revealed post-race that they found a problem on Vandoorne’s car that was the reason for their pace deficit. Felipe Massa’s debut Formula E race led to no points as he managed only 14th. However, the Brazilian driver pulled off some stunning moves during the race, especially one that involved overtaking two cars in one corner! Rosenqvist, Mahindra Racing’s star driver from last season, had a race to forget, also his only race with the team and in Formula E for the current season. After qualifying last (22nd), Rosenqvist started the race in 17th place thanks to the penalties to the Audi-powered cars. In the race, he was fighting in the mid-field before his Mahindra Racing car gave away. At the time of filing this story, the team was yet to release an official statement with regards to his retirement. Jerome D’Ambrosio made the most of his sixth place starting position and engaged in interesting duels throughout the race to finish third and only four seconds behind the race-winner, although the late race Safety Car does negate the actual race time difference between the finishers. In fact, it was Vergne’s used of the Attack Mode at the end of the Safety Car period that cost D’Ambrosio second place in the race. This was the Belgian driver’s 8th podium appearance in the series; he is now third in the Drivers’ Championship with 15 points. Early days, but da Costa leads the Drivers’ Championship with 28 points – 25 for the race win and three points for pole position. Jean Eric Vergne is 10 points behind in second place. In the Teams’ Championship, Techeetah lead BMW by one point (29 points to 28), while Mahindra Racing are third with 15 points, one point ahead of Nissan in fourth. The biggest disappointment from Ad Diriyah would be the lack of pace from the Audi team. 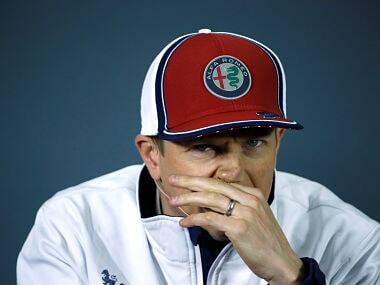 Towards the end of last season, they had the quickest cars on the grid and one wonders where their pace disappeared. However, the close competition witnessed in the Ad Diriyah ePrix confirms only one thing – the championship tables are going to look drastically different after each ePrix. Formula E’s broadcast model is interesting. We watched the race for free on YouTube (without lag and HD quality footage) while there were several other broadcasters who were signed on for free-to-air coverage across markets. This is a stark contrast from how Formula 1 approaches their broadcast deals. However, it would be interesting to see the difference in viewership numbers while remembering that Formula 1 built its initial base of viewers while being free-to-air for several decades altogether. However, Formula E’s race broadcast coverage could do well with some sharpening. There seems this excessive need to keep talking over footage while also bringing driver and celebrity interviews every other second. One can understand that the organisers wish to hold on to viewers till the race starts, but there is definitely a balance that could be achieved. 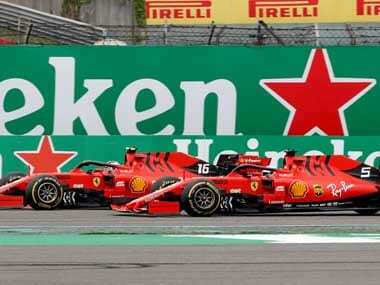 During the race, there was an accidental shooting of a ‘Full Course Yellow’ graphic, one that confused the viewers and commentators alike; because the FIA hadn’t flagged off one. This was when Edoardo Mortara crashed head-on on the opening lap but still managed to reverse and continue the race making us applaud the strength of the Gen2 car build. The crash-reverse-rejoin procedure reminded us of how drivers would do so when they crashed out of a go-kart race! To comment further on the graphics and sound package, Formula E has worked hard to try and make it relatable to the virtual racing games that younger fans would assume to be playing. The ‘Attack Mode’ (also known as the Mario Kart mode) is actually displayed like they would do so if this existed in the Mario Kart game! However, the ‘crying’ graphic of Mortara that was broadcast after he crashed seemed funny than express disappointment. Finally, the broadcast feed definitely needs to work harder to separate the commentary feed from the pit-to-car radio feed. In a race where several drivers were given drive through penalties, viewers had to rely on the commentators rather than radio messages to understand what actually was happening. Here, doing exactly what Formula 1 does wouldn’t be a bad idea – they slap a top-screen banner explaining the infringement and penalty along with driver number and initials. 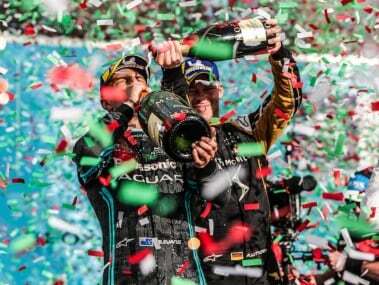 All in all, the start to the Gen2 era of Formula E was fascinating. There are almost no trends that one can rely on to predict what could happen at the next ePrix in Marrakesh - so the best way to find out would be to tune in yourself.